and not the mapping.com address you may have been using. Thanks. 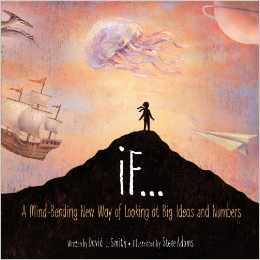 Fun news: "If" was recently short-listed for the Royal Society Young People's Book Prize. Click here to read about it. Here's a link to the story about the awards. 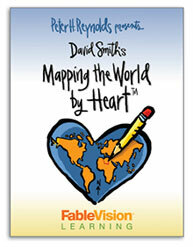 Fablevision Learning is posting interviews with teachers who use the Mapping the World By Heart; curriculum, in different settings, different schools. Good photos. 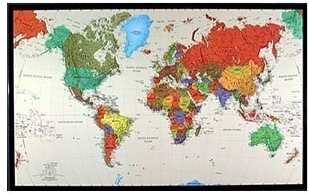 Click "Books and Videos" above to read about all kinds of materials for geography teachers, and for everybody interested in the world. What happened to the Trivia Questions and Answers? I have had to take a short break from the responsibility of daily trivia; it will be back as soon as possible. See the 4 latest hotlinks at the bottom of this page, or click through to the 21-year archive of hotlinks. Early Burma Maps Three enormous maps in the Cambridge University Library have recently become available in digital format; on this site, you can read about them and explore them. The detail is wonderful, and the approach to cartography by Burmese artists in 1860 is both fascinating and surprising. Worth a visit. Click cover image to the left to go to amazon.com to read reviews and to order. Don't want to order from Amazon? THIS LINK will take you to IndieBound, to order from an independent bookseller near you. Here's a blurb From Publisher's Weekly -- See the first paragraph. This new book of mine is a "category killer", and "there's really nothing else like it out there, every page is a lesson plan". A writer and reviewer in Australia has created a wonderful page about "If", with her review of it, and also a collection of very useful notes about how to use the book when reading it with children -- with 1 child, or with a classroom. Click here to read her review and teaching notes. ** Jessie Voigts, of Wandering Educators, interviewed me for her blog. Watch the interview. About 10 minutes. and for learning about what we can do to help those who need help. The site can be accessed by clicking here. 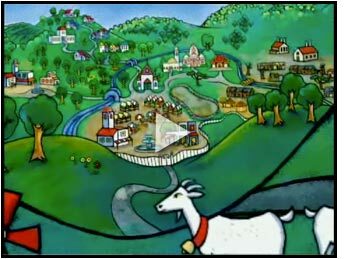 Click here to read about the Centre for Child Honouring; or click here to read Raffi's Covenant For Honouring Children. "Imagine if you could condense all 3.5 billion years of life on Earth into just one hour. If you could, the dinosaurs wouldn't show up until the 56th minute of the hour, and they'd be gone three minutes later. Modern humans shamble into view in the last 2/10ths of the last second." "In If, David J Smith, author of the bestselling If the World Were a Village scales down big imponderables -- from the huge scope of human and geoplogical history to the size of our planet and galaxy -- with surprising results." Special Offers, Order Maps, etc. David Smith travels the globe sharing his enthusiastic and innovative approach to teaching and learning about our world community. Library of Congress Geography and Map Room There is so much on this page for anybody interested in maps and geography that there isn't enough room on this page to list the features in detail. To begin, you can click on "Worlds Revealed", their blob, to explore maps in the past, present, and future; there a featured map in the middle, and links to collections, new acqusitiions, and you can browse their entire online collection. Worth a visit and a bookmark. Festive Maps from the NYPL This is a fun collection of the "Most Festive Treasures of the NY Public Library's Maps Division". Worth a visit, and bookmark for next year's holidays as well.